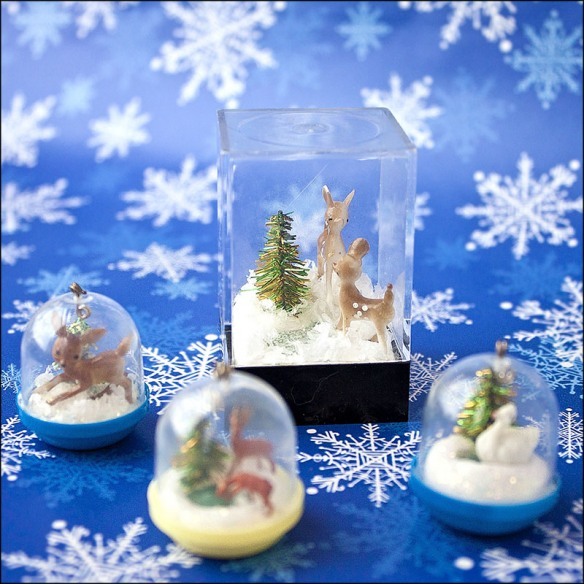 Cheri-I hope everyone is having a wonderful Holiday Season so far. 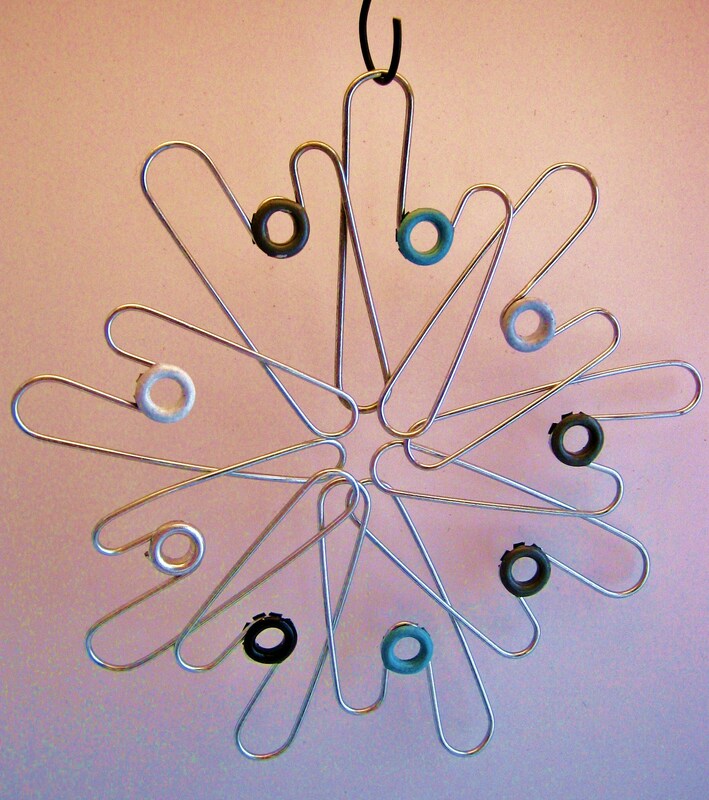 These are two ornament that I made from paper clips. 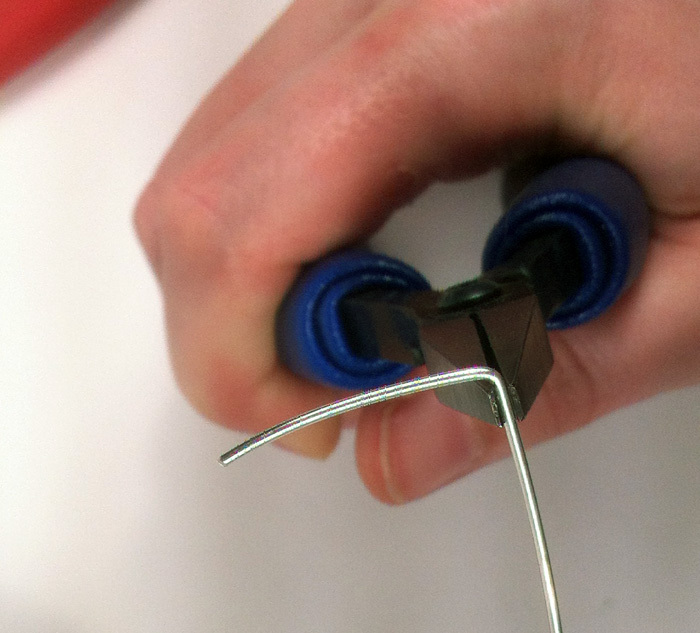 I first started by experimenting with different paperclip bends. 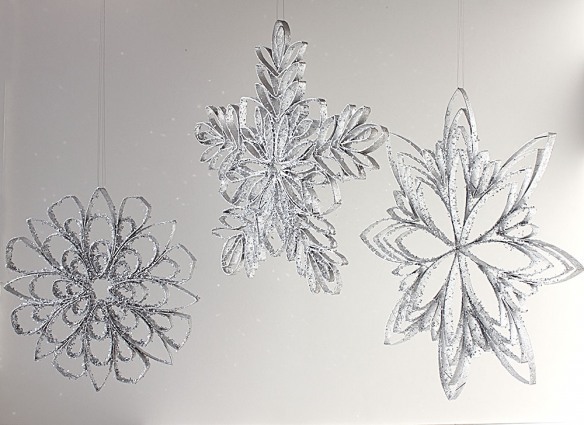 I knew that I wanted to make a snowflake so I made sure that I would have a way to connect them to each other. After I had a pattern I liked, I began to work on the connection. 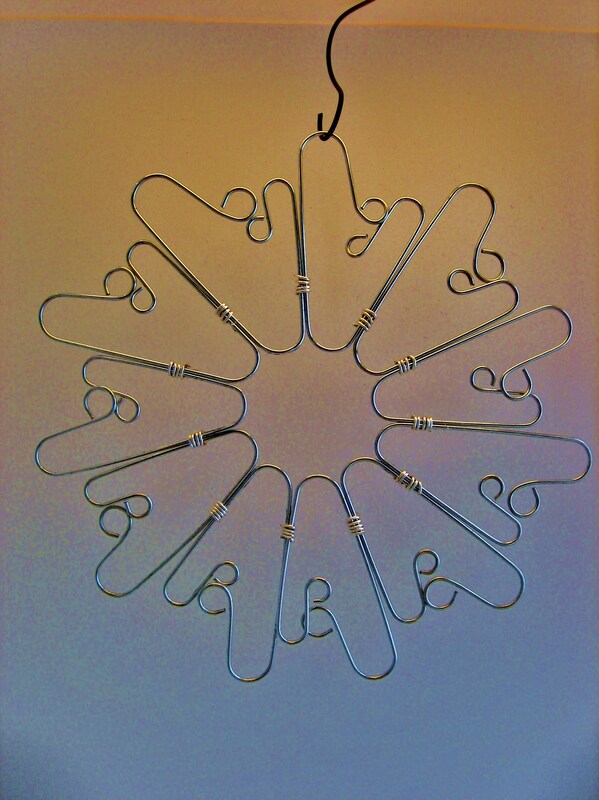 The grommets worked great for the 2nd snowflake as I had a loop to affix it to. The top one I decided to wire, after I wired it I put a drop of E-6000 on each wire. This stabilized the connection. 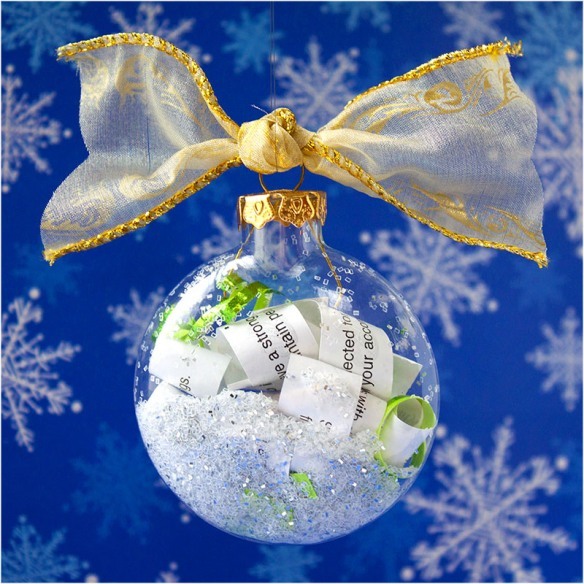 Hope you are enjoying our Christmas countdown and again Happy Holildays. I liked this challenge, but it seemed to me that I couldn’t get the idea of jewelry out of my head. 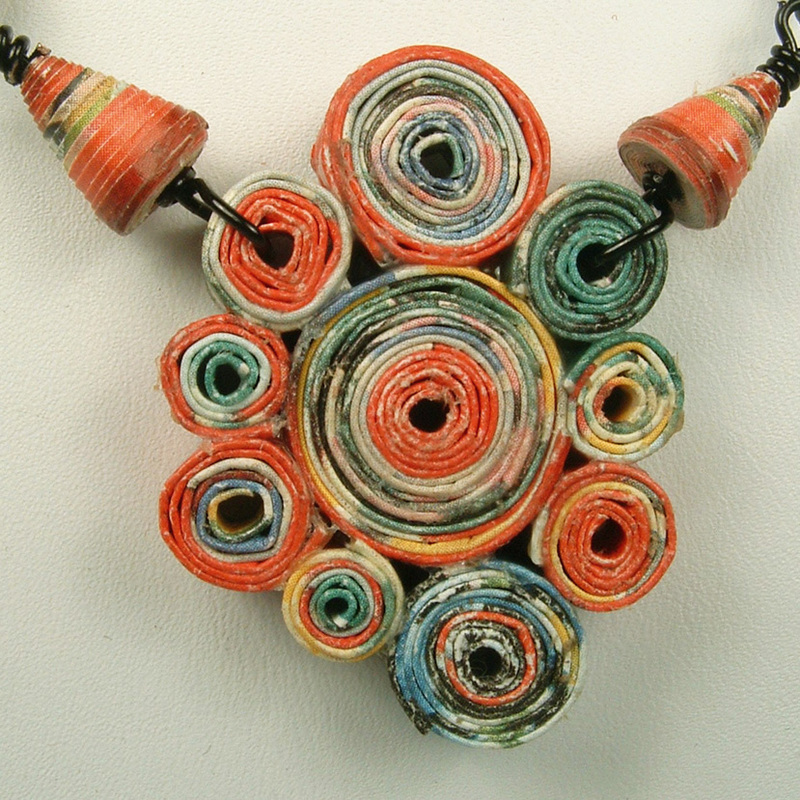 It just seemed to speak to me and say, “I should be a piece of jewelry”. So, naturally, that is what I made. I felt that the colors were a factor in what I made. To me they felt like Fall, and what else is more like fall than a leaf. I made a base and then I wired the resistors as veins of the leaf. I like how the colors filled in the base. 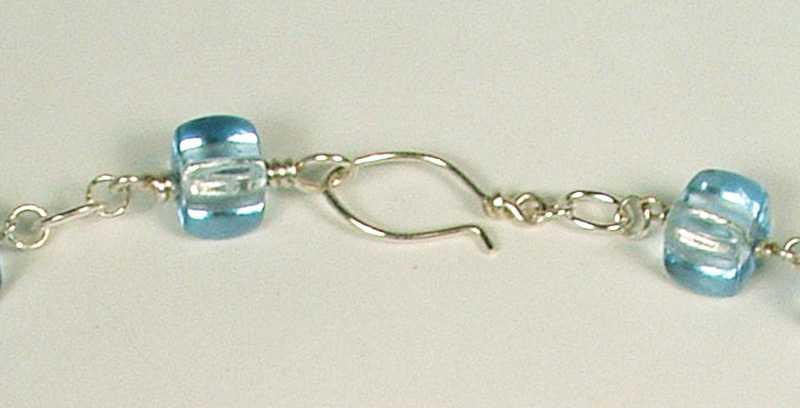 I make a lot of pendants normally, so this time I decided it would be a bracelet. 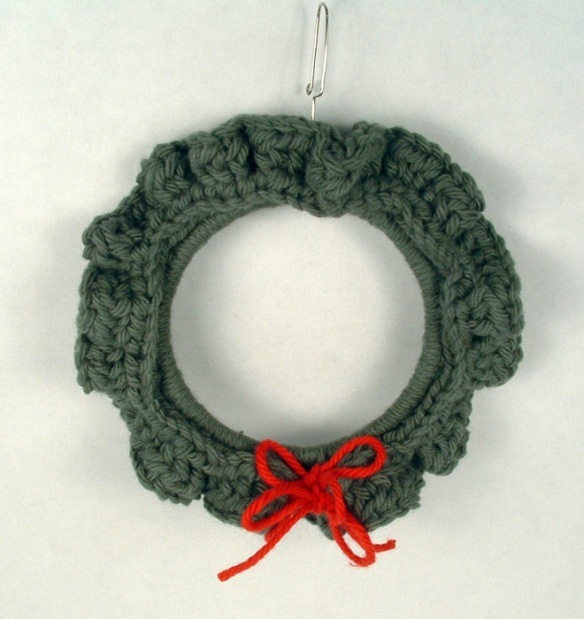 Kind of like a bangle bracelet. I curved the leaf around a glass to give it the right feel on a wrist. I took a piece of 16 gauge German Silver and made a loop in each end. I curved the wire to conform around my wrist. 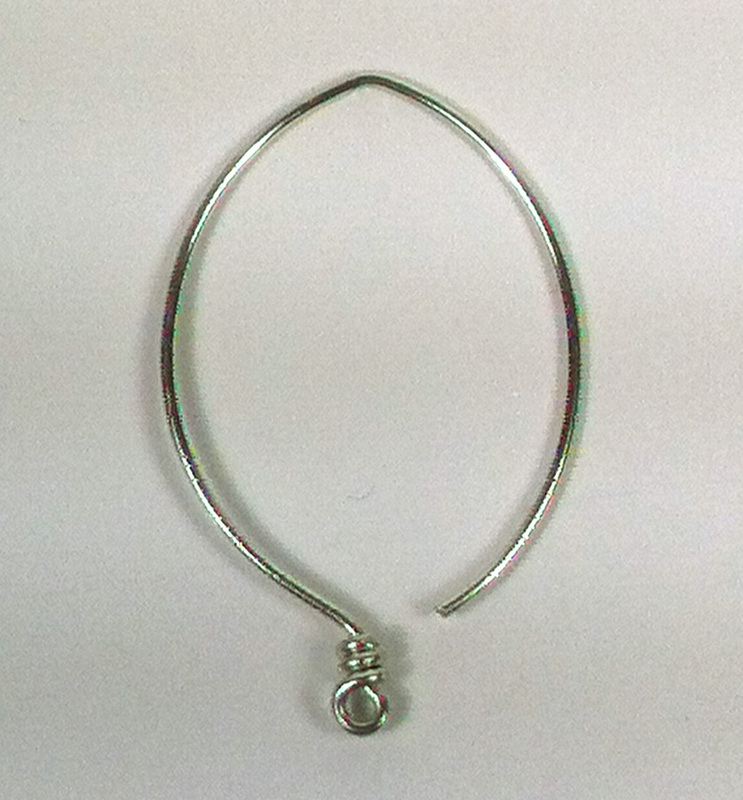 For the ring, I formed a loop in the wire about 12″ from the end and then wrapped the wire around a mandrel 3 times. I curled the wire around the loop and cut off the excess. 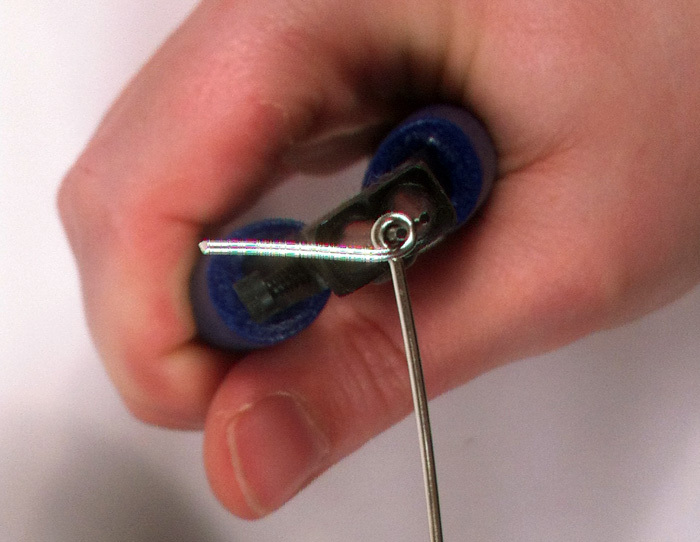 I cut off one end of the wire next to the base of the resistor and formed a loop. 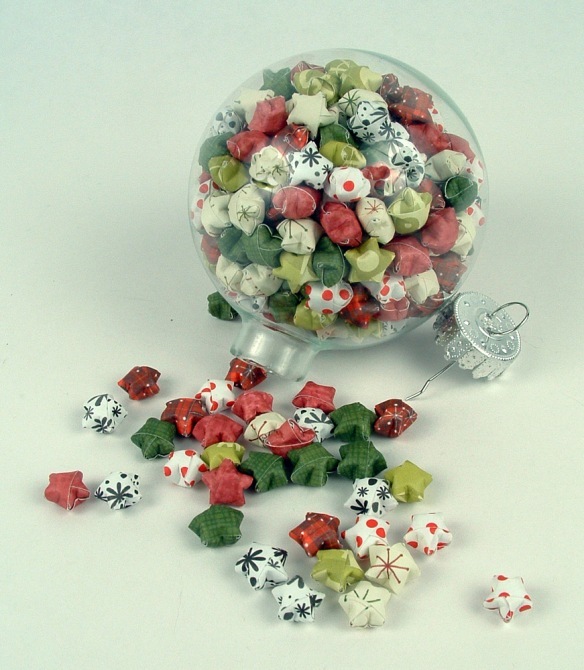 These small loops were attached to the larger loop to give a star- burst effect. I am pretty thrilled with how they came out. I hope you like them too. Our found item that must be used in our challenge was resistors. 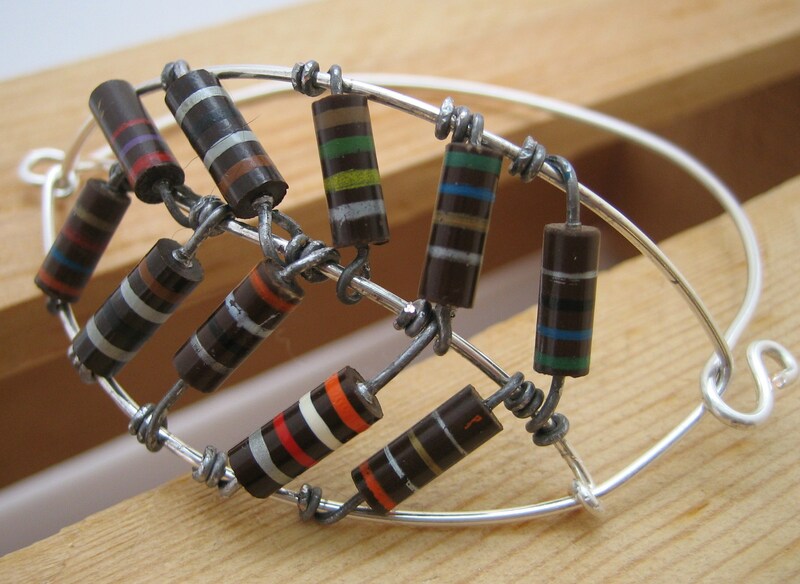 Out of the Crafty Sister storage came a canister full of old resistors. We divided them up and got to work. 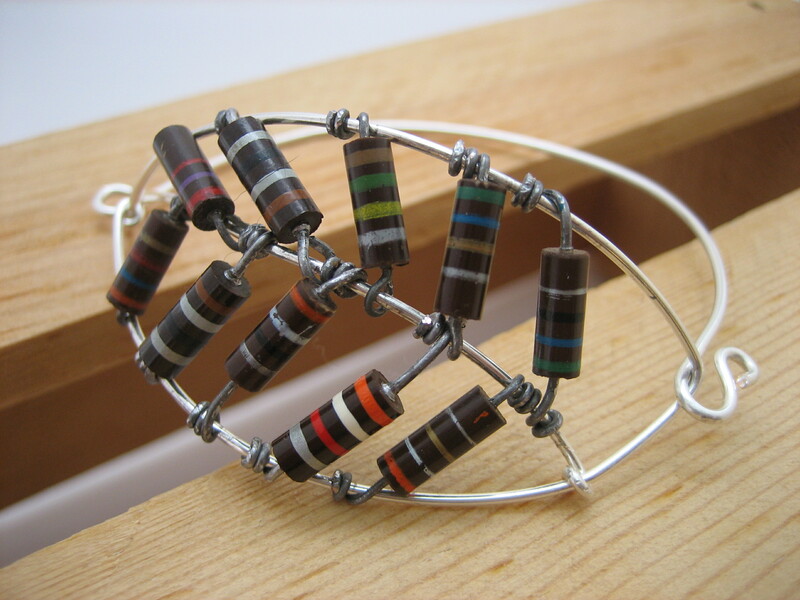 Resistors just seem to lend themselves towards jewelry and I was inclined to follow. My foremost concern was an interesting pendant. 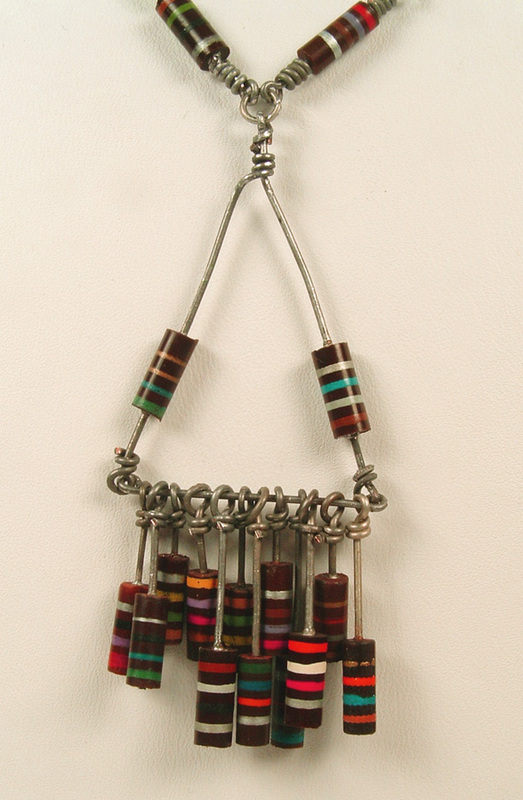 My entire necklace is made of resistors, even the hook and eye clasp. 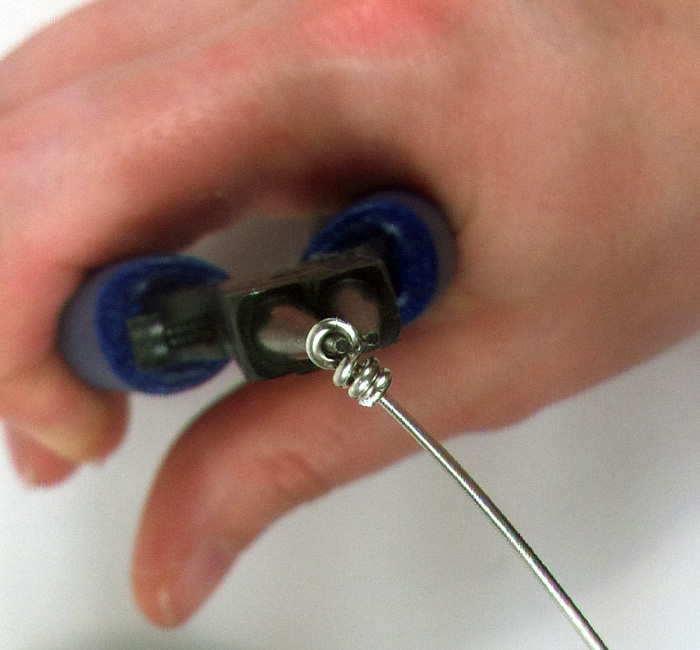 The wired ends make wire-wrapping a breeze. 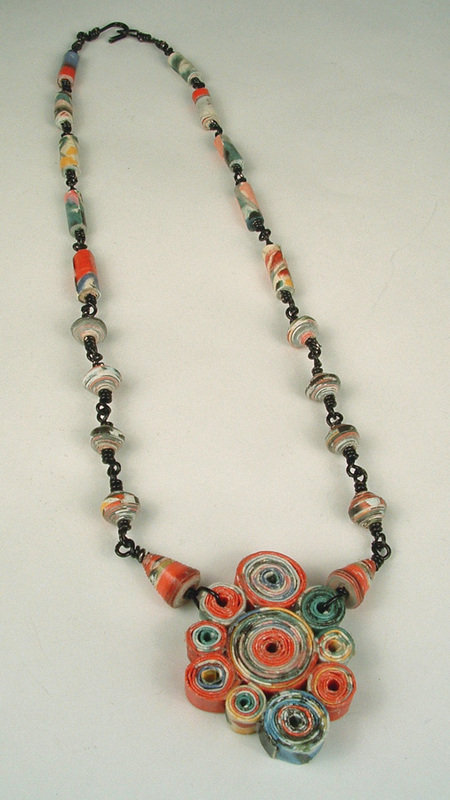 This is a very simple necklace to make and only took me about 2 hours. 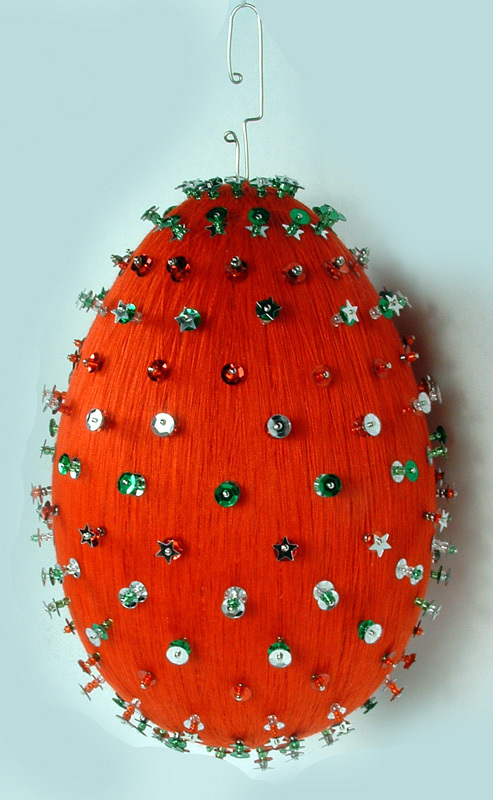 Most of that time was spent messing with the style and shape of the pendant. I am pleased with how this turned out and will probably wear it from time to time. Mom (Craftysister Lynne) and I went camping in Georgia a few weeks ago. While there, we got lost driving and found this amazing little store. It was called Rocks, Relics and Beads. This place was packed with so much stuff that it was completely overwhelming. The owner was such a character. He seemed to delight in making up stuff on the fly (you know, in a true Grandfatherly way). Mom even posted some photos on Facebook of our visit to this wonderland. It only seemed fair as I posted pics of her version of wonderland (an art store) during our camping trip to the Indiana Dunes last year. 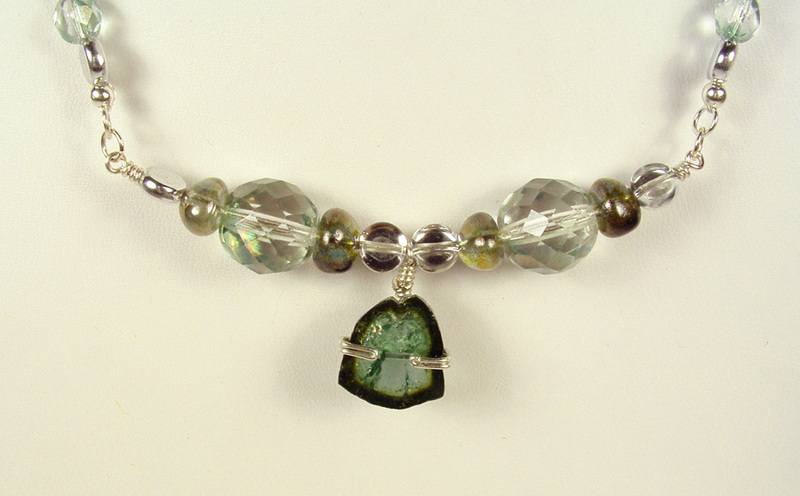 I just love tourmaline. It comes in such an amazing array of colors and I love all of them. This is a slice of a chrome tourmaline crystal and I just fell for it the minute I saw it. It took me awhile to decide how I wanted to display and mount this piece, but I am very satisfied with the finished pendant. 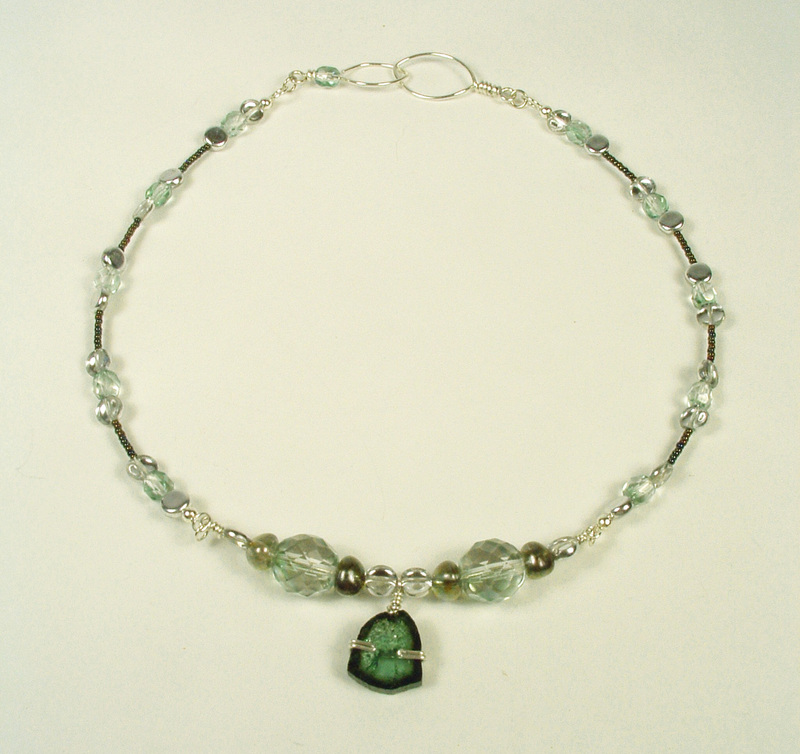 The front piece of the necklace where the pendant hangs, is strung on 18 gauge sterling silver wire. The rest of the necklace is strung on beading wire. I like to do necklaces like this as I think it brings more focus to the pendant. 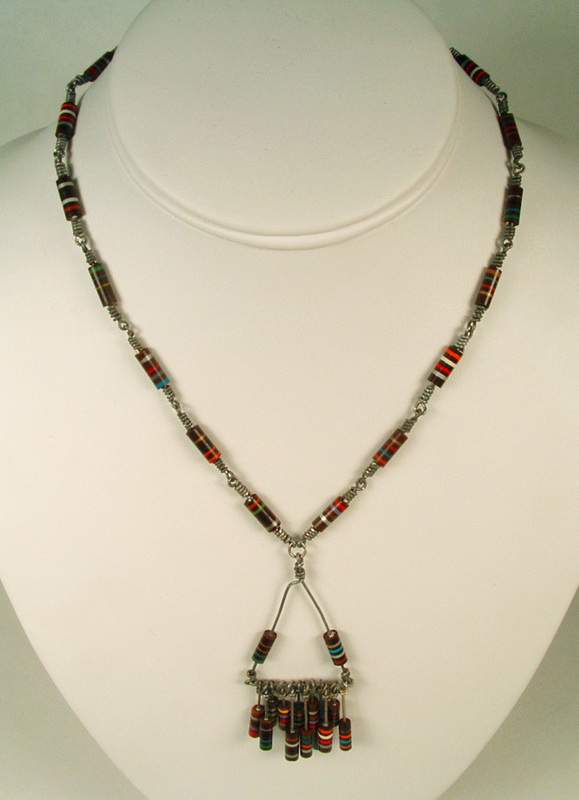 I cannot say it enough that I just love this pendant and the necklace. I wrapped the tourmaline very gently with 21 gauge sterling silver wire that just comes around the sides of the stone and rises in back of the stone to form the wrapped bail. 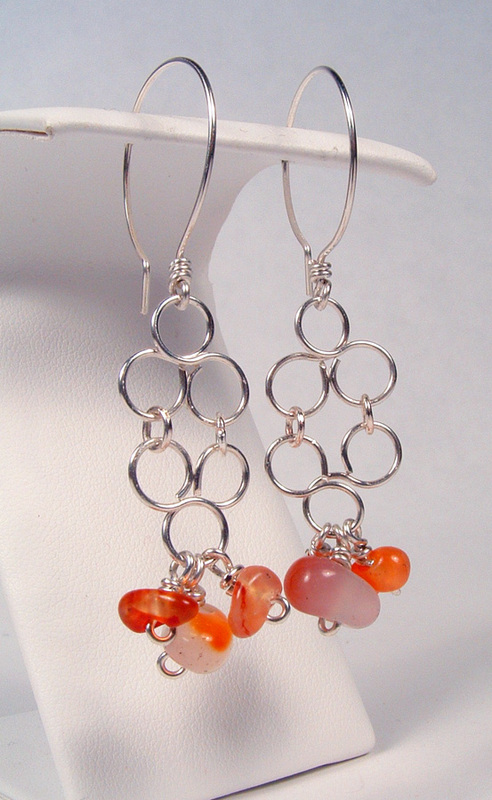 And of course, I made earrings to go along with this piece. 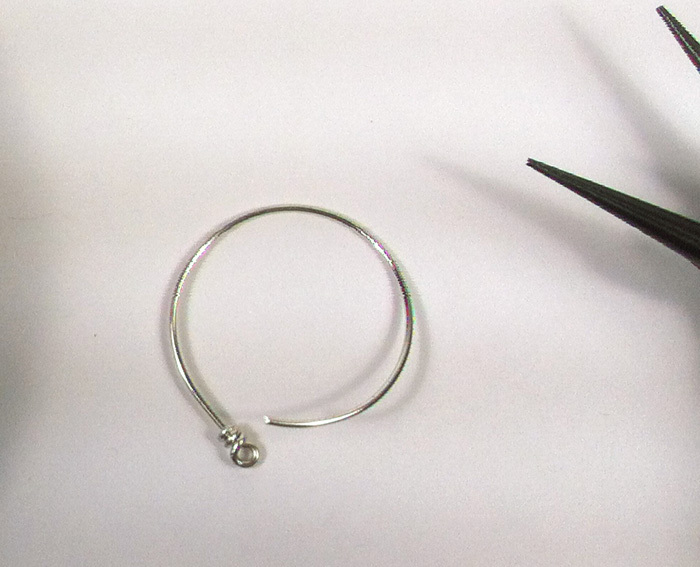 I had some fun this time around doing some sterling silver findings and various wigjig type forms for these earrings and for the next necklace below. 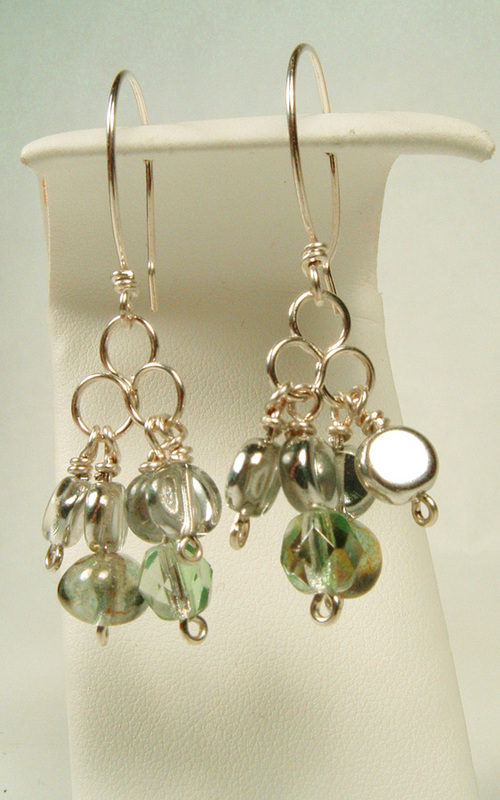 No tourmaline in the earrings, but I use some really pretty green crystal and glass beads. I cannot wait to wear this set. 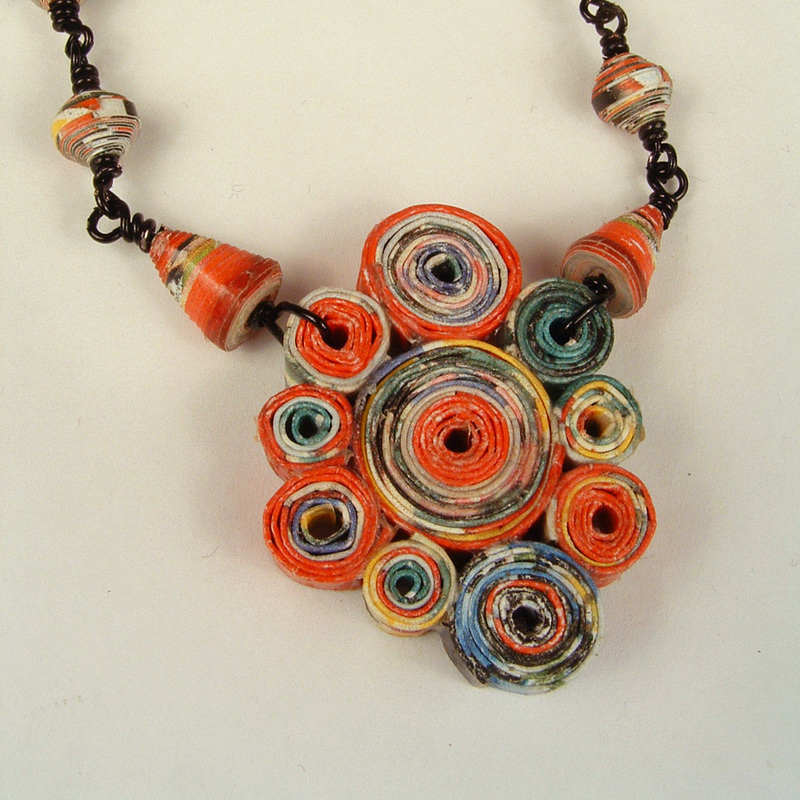 Below you can see the almond shaped clasp that I made for this necklace. 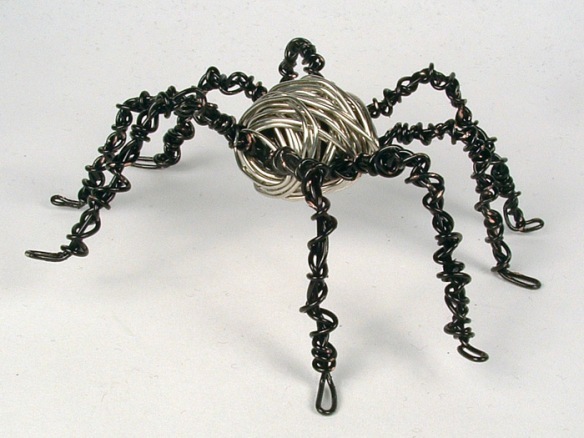 It is made from 18 gauge sterling silver wire. Here you can see the entire necklace! 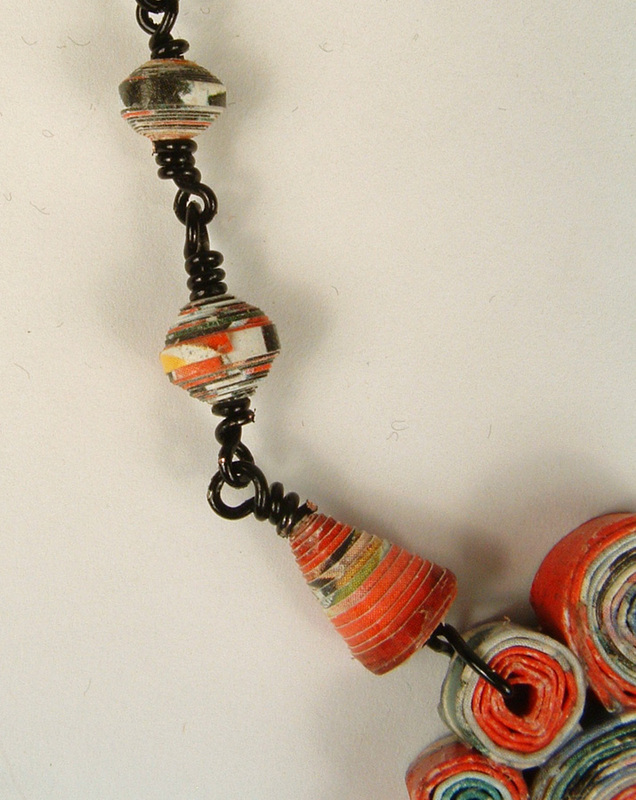 The next piece has an Italian art bead for the pendant. 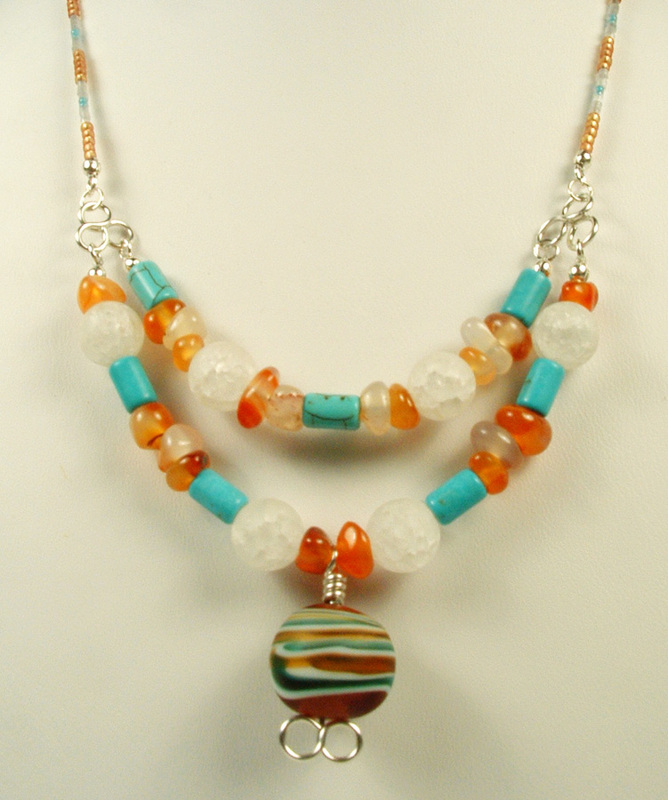 I just love the contrast of the orange and teal swirls. It doesn’t show up as well in the photo, but the teal beads and the teal swirls in the pendant are actually the same color. 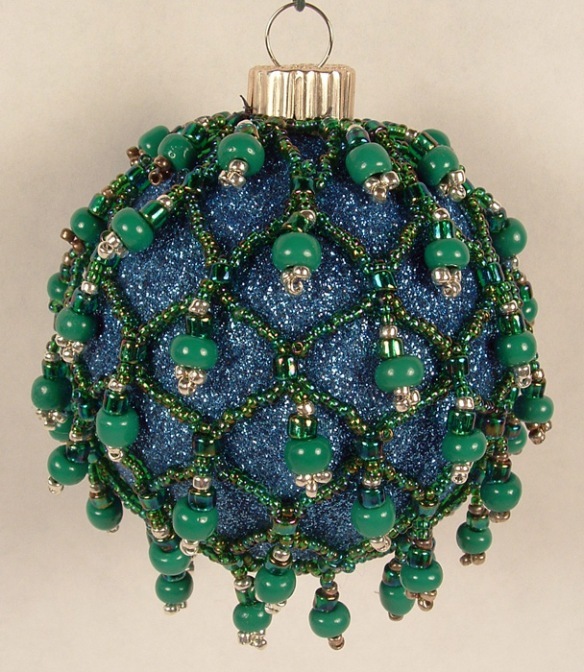 I love the way the one teal bead above the pendant looks like it is smiling at you and showing his fangs. It made me laugh when I noticed it. 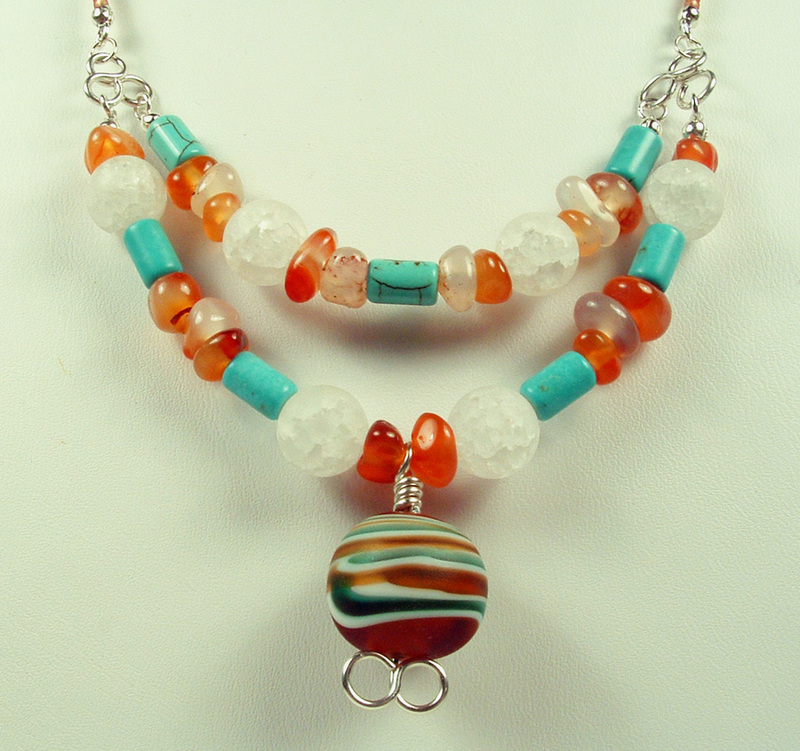 The orange beads are agate and the white beads are quartz crystal composite beads. 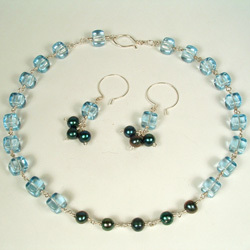 I used seed beads for the back portion of the necklace as I wanted the entire focus to be on the front double strands. 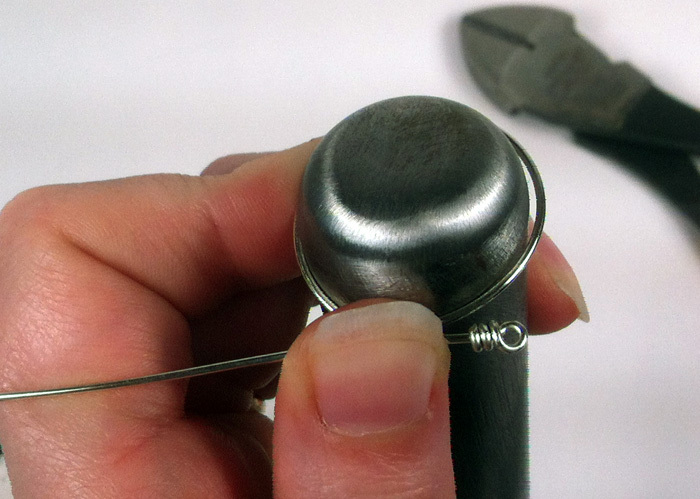 I again used 18 gauge sterling silver wire to make the bail for the pendant as well as the findings that connect the double strands of the front part to the single strand of the back portion of the necklace. 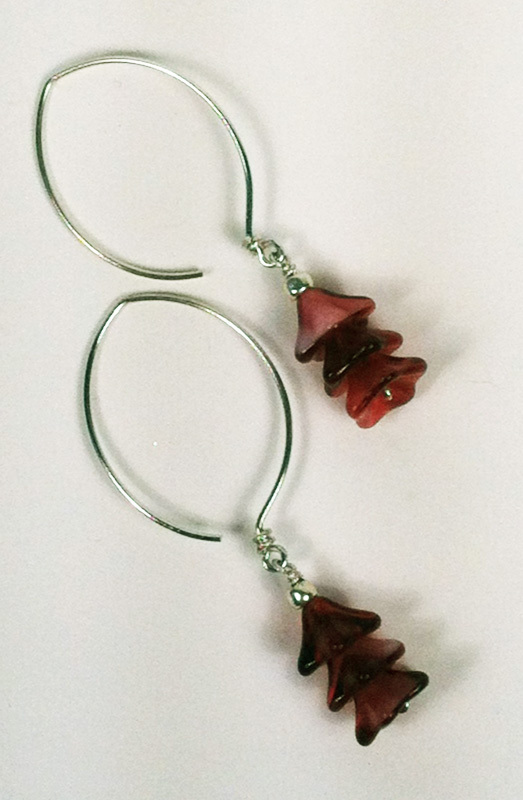 The earrings are made of more agate and the findings are made of 21 gauge sterling silver wire. This is a very colorful piece and I am very happy with how it turned out. 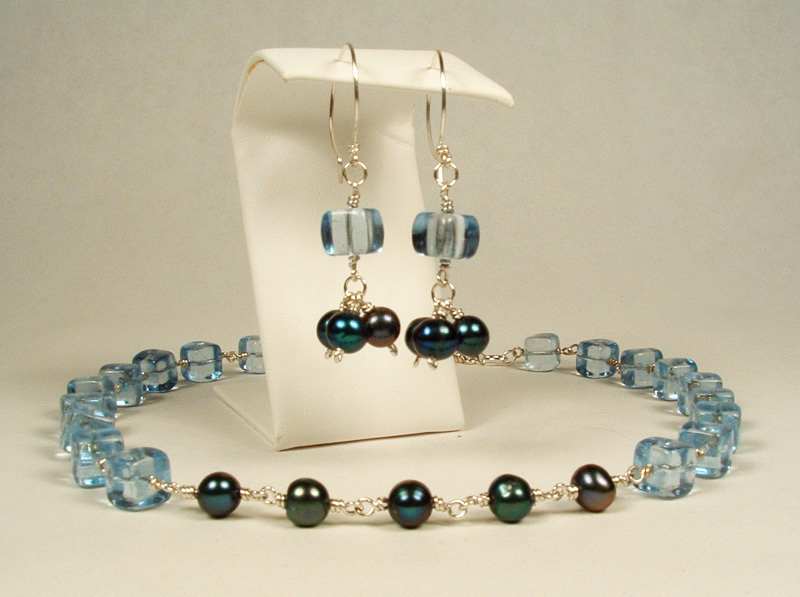 This is a great summer necklace and earrings set. I hope everyone had a wonderful Memorial Day and I look forward to posting some more of my recent projects! Bird nesting in a tree. Cheri: I find it really interesting that every project we do, I always think that it is the best one yet, but this project was one of the best. I like working with paper. It has endless possibilities and can be made into practically anything. 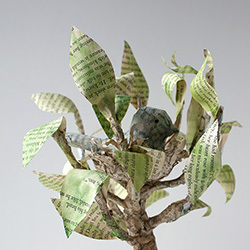 I knew I wanted to make a tree with a nest and a bird, as this is a theme that I have been exploring lately. 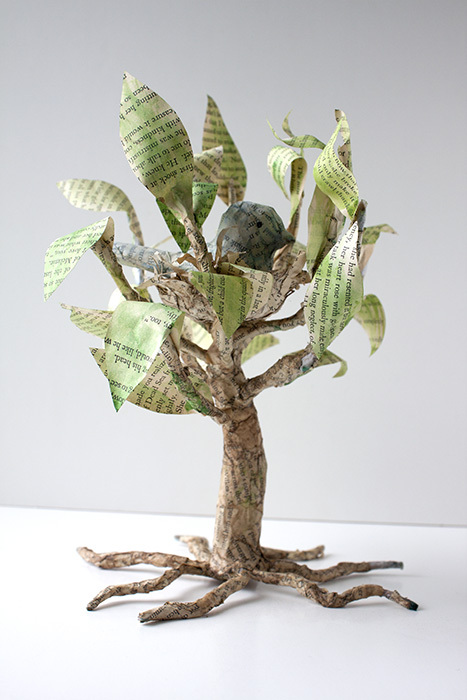 To begin, I made a base for the tree with paper covered wire. To make the base, I cut about nine lengths of wire around 9 inches long. 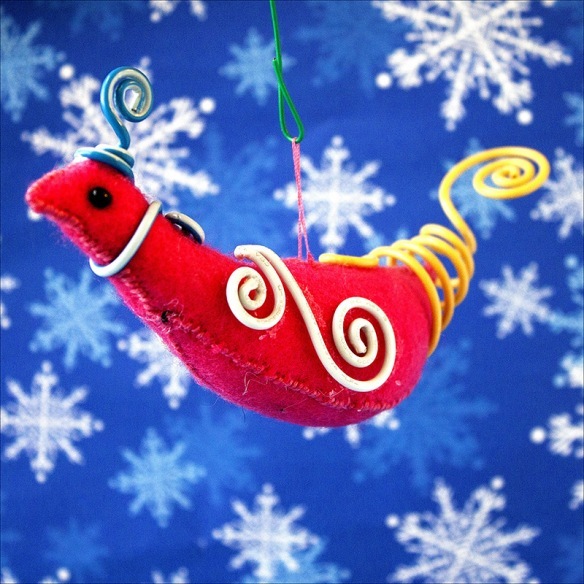 I took a longer piece of wire and wrapped it around the base and slowly coiled my way up the tree. 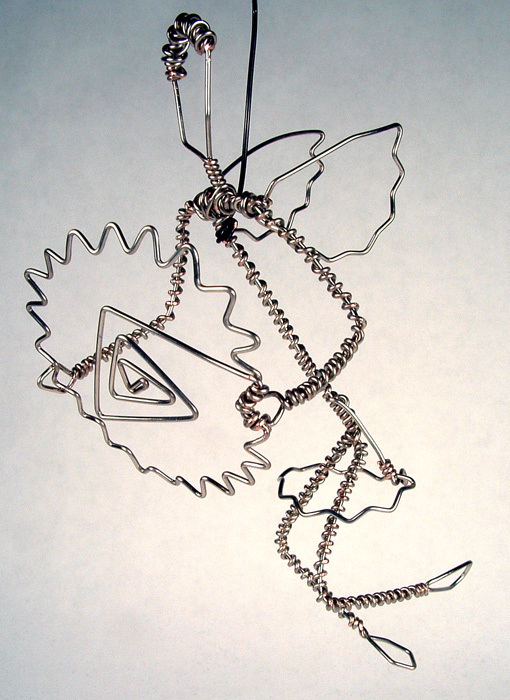 I left some of the wire sticking out of the bottom to make the roots and some sticking out of the top to make the limbs. I then took some pages from an old book, (Gone with the Wind), and ripped them into strips. 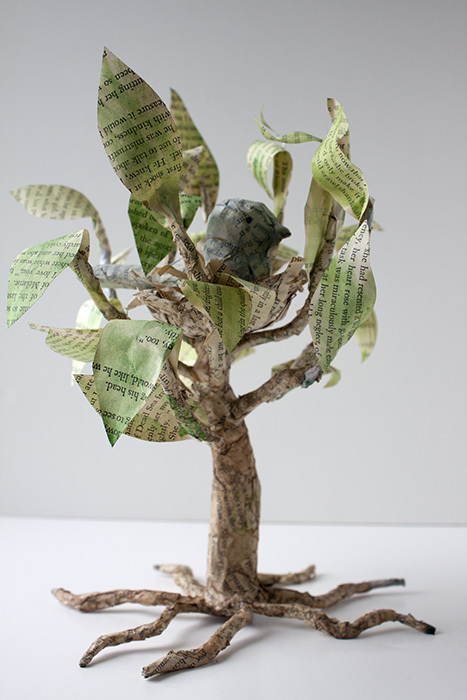 I paper-mached the strips onto the tree, the bird and the branches. 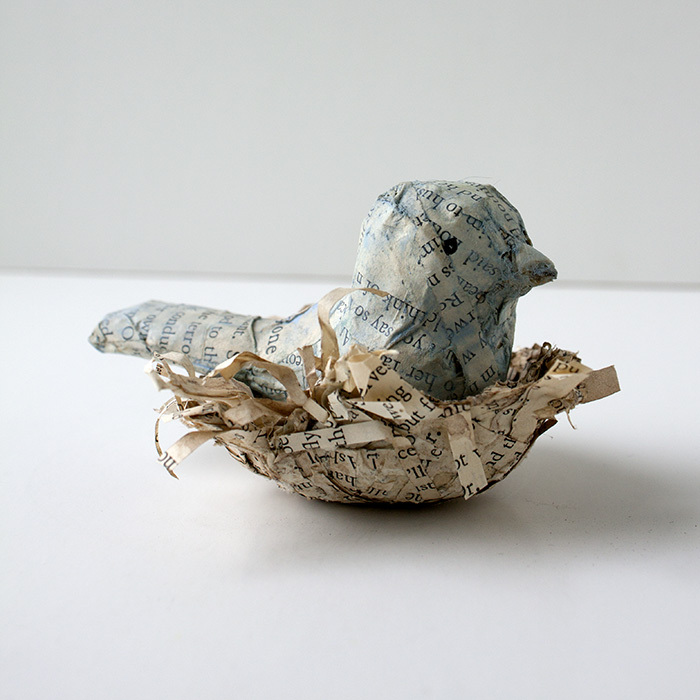 For the nest, I cut very thin slices of paper and formed them with glue using the bottom of a small bowl as a form. I let it dry and when I took it out it looked amazingly like a real nest. At this point I was not really sure if I wanted to paint it or not, but after talking it over with my son, Justin, we felt that it would look nice if I did a light watercolor wash on it. This really made the text pop and was just the right touch. I was very pleased with how it looked when it was completed and it really came out how I wanted it to look. 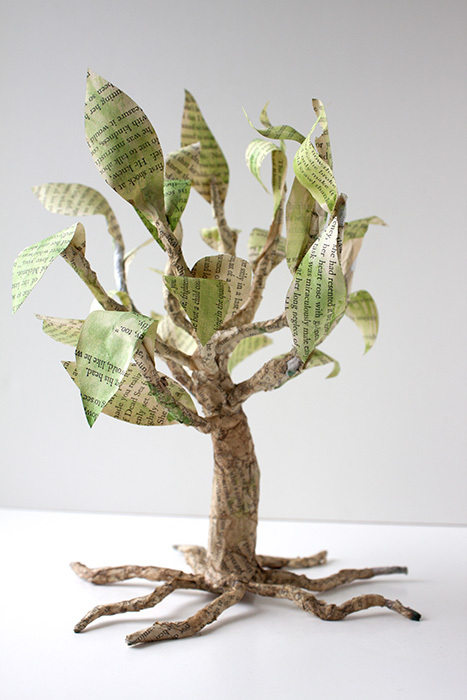 And somehow it seems fitting to turn paper back into a tree. Close up of nest and bird. 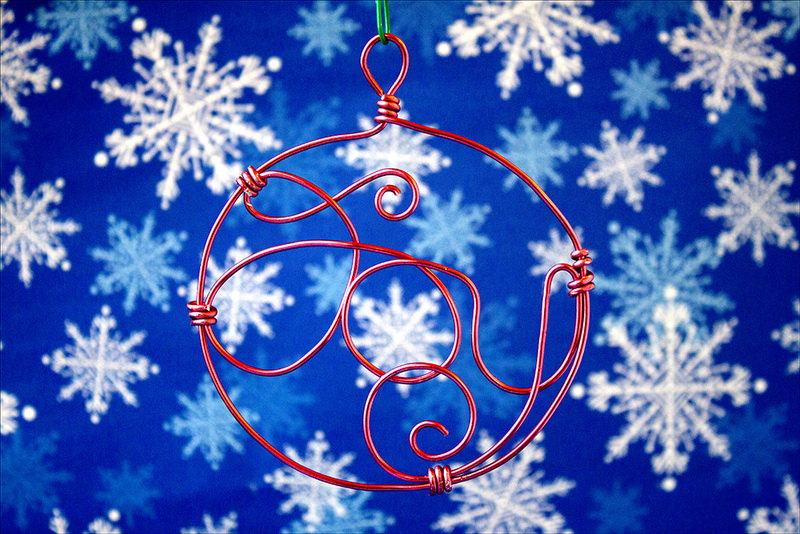 After an additional week due to some time constraints, our Copper Crafty Challenge is complete. We had our final reveal among the Crafty Sisters this afternoon, and boy, we really seem to be at the top of our game for this challenge. I cannot wait for you to see all the projects. 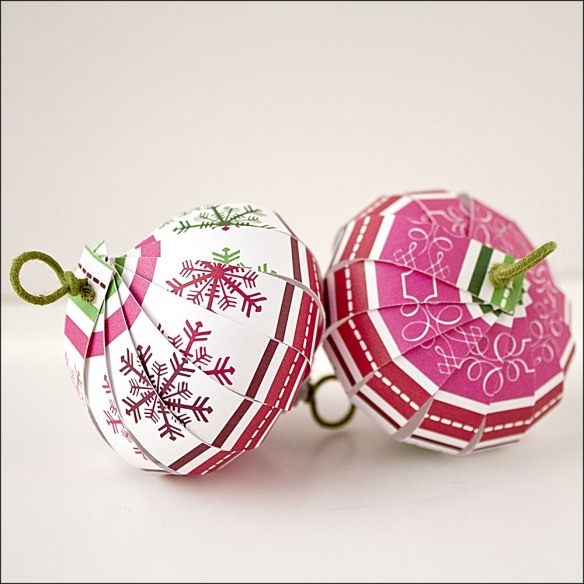 We are going to post one project a day, so keep coming back! I waffled quite a bit on this challenge. I make a lot of jewelry and I wasn’t sure if that was where I wanted to go with this particular project. After a week and a half of indecision, I decided, why mess with a good thing, jewelry it would be. 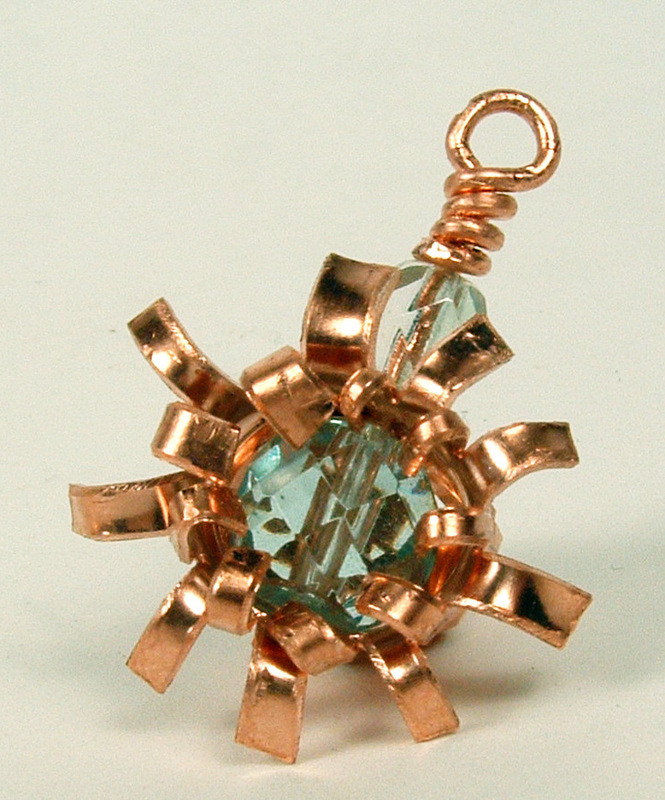 Using a compass I played Spirograph on a copper disc and cut out the star burst pendant. 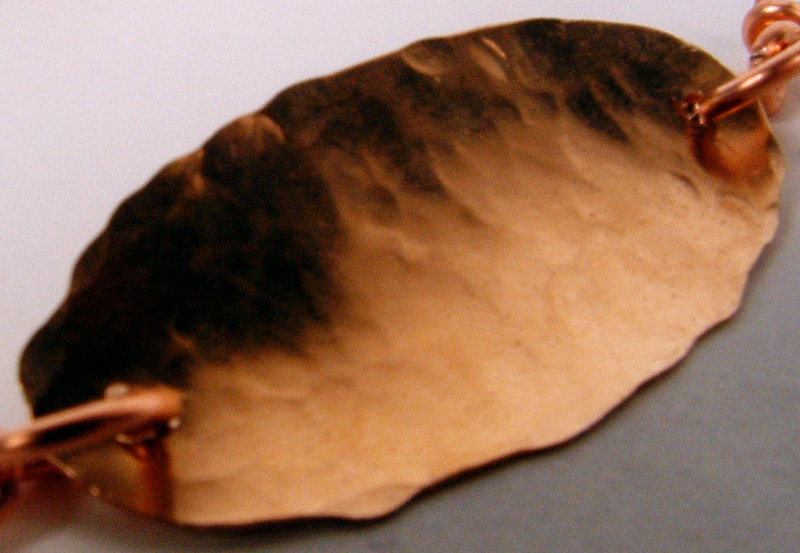 Amazingly, the copper is thin and soft enough that you can cut the discs with heavy duty scissors. I hammered the star on both sides to give it some depth. 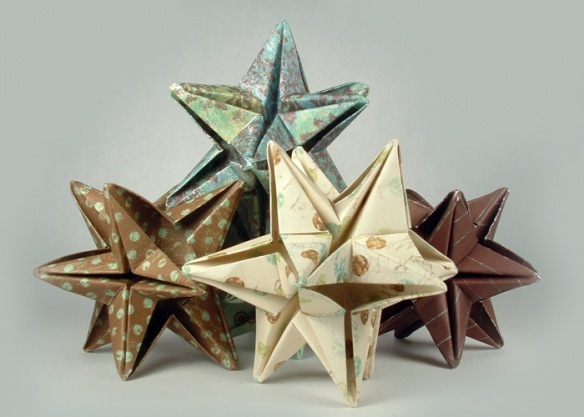 I then curled the points of the star (I couldn’t see any other way to really blunt the points. Those suckers were sharp!) 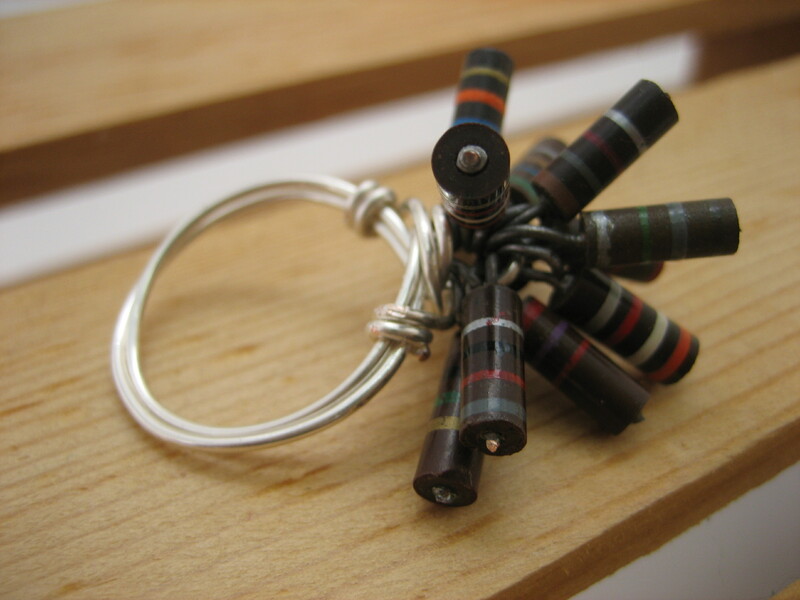 to keep from puncturing anyone wearing it or snagging your clothes. 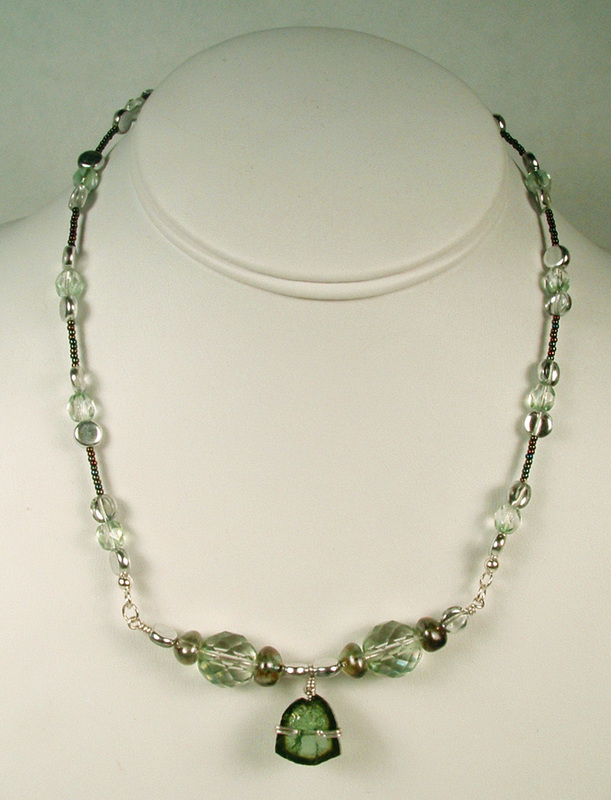 I attached the light green crystal bead in the middle with wire and did some wire-wrapped crystals (also light green in color) for the dangles at the bottom of the pendant. 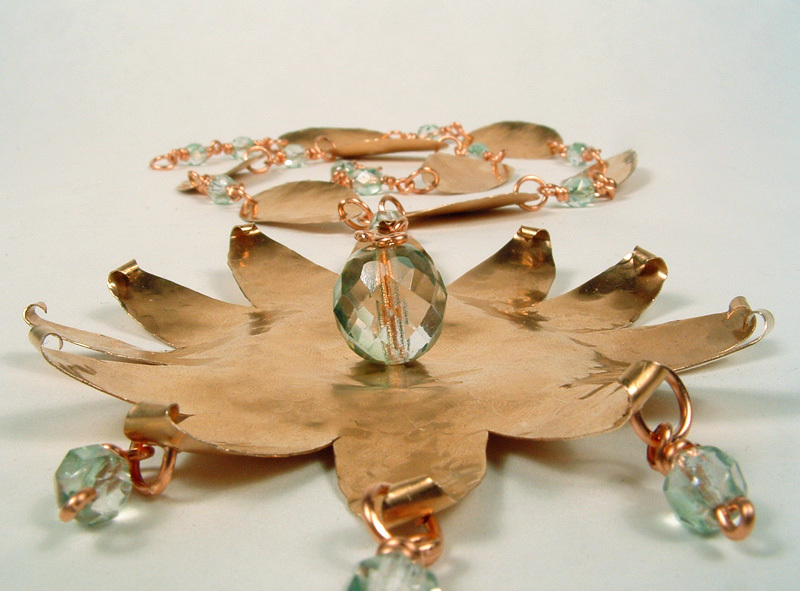 The chain is made up of hammered copper ovals and more wire-wrapped crystals. 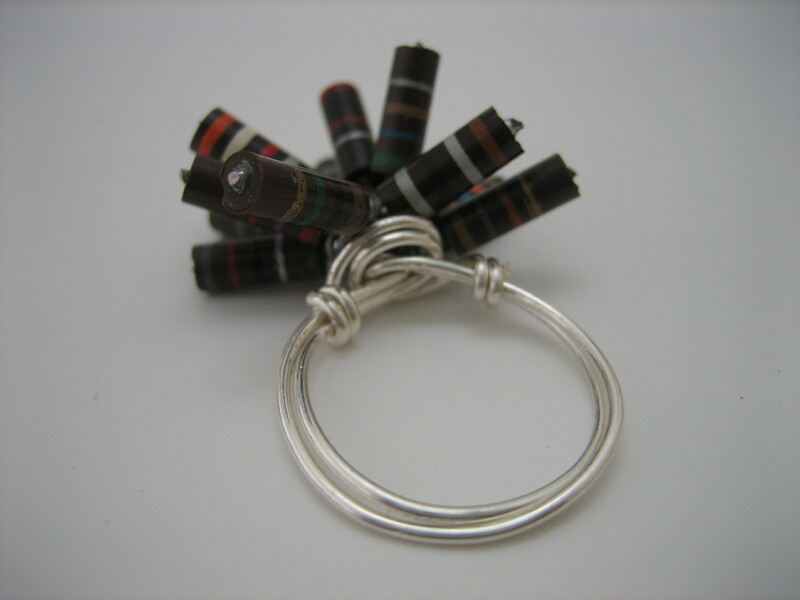 I did make all the jump rings and the clasp out of wire as well. The wire is standard 18 gauge copper wire from the hardware store. All the hammering was done on an anvil that my dad made me for Christmas several years ago and with a series of hammers that he made for me 2 years ago. I started all the holes with a punching awl then enlarged then with a Dremel tool and a diamond tipped drill bit. I filled all the edges with a mini file to be sure that you wouldn’t slice yourself open on the sharp edges caused by the scissors. 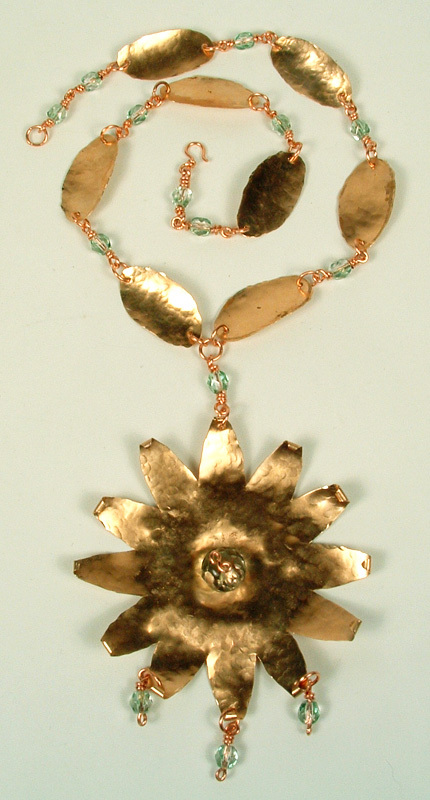 The star-burst was actually the second pendant I made for this necklace. I wasn’t all that happy with the first one I had made. I showed it around and the other Crafty Sisters and my M-I-L (who joined us from my house this week) thought it was great, which just goes to show how hyper-critical I can be about my own work. 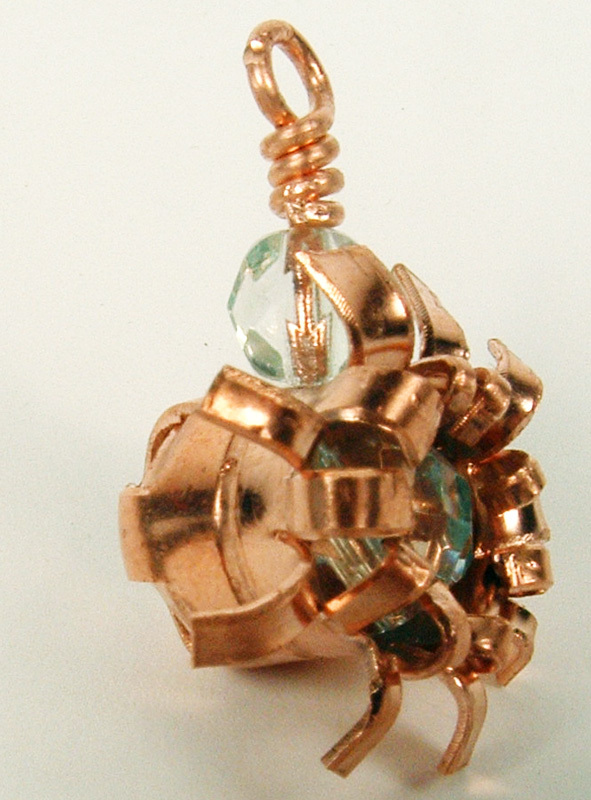 This pendant is made of a copper plumbing pipe fitting. 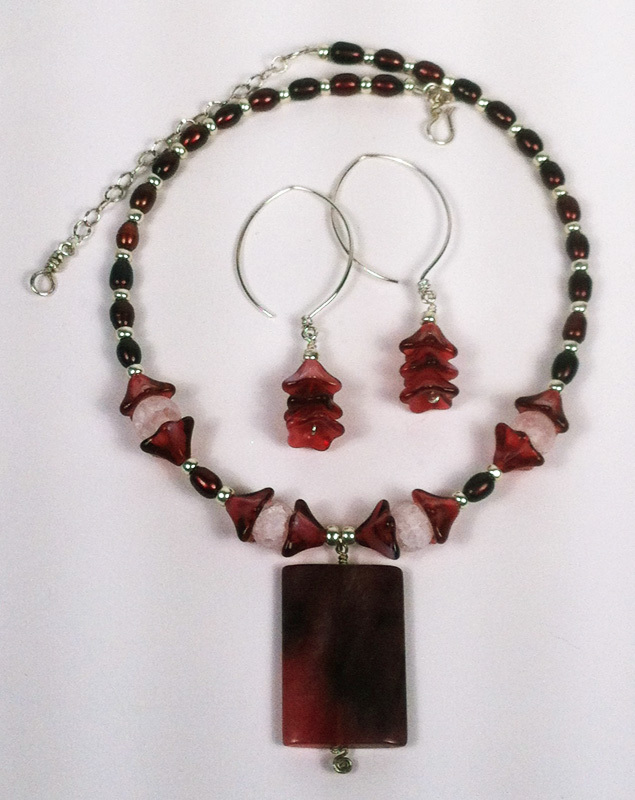 I did make a pair of earrings to go along with the necklace (my usual M.O.) and I think they turned out rather well. 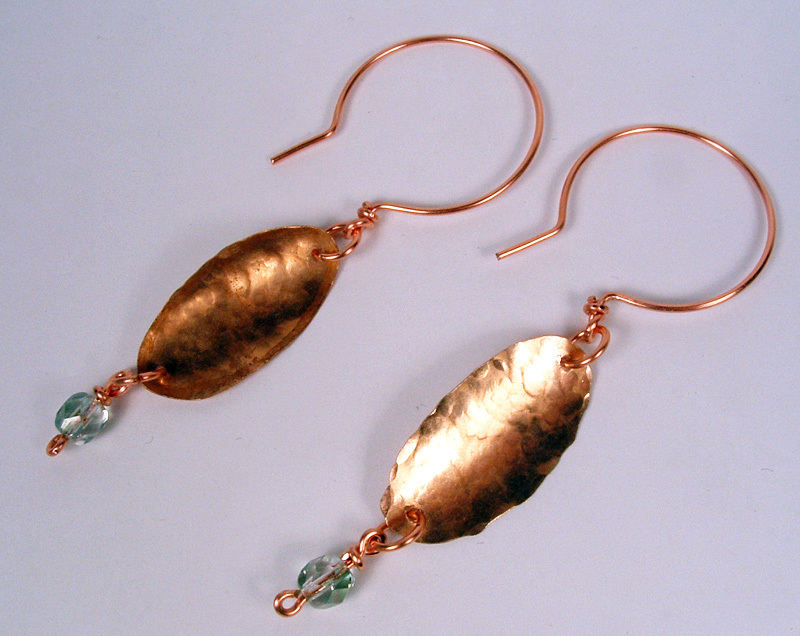 I really like how the hammered ovals came out looking like leaves. 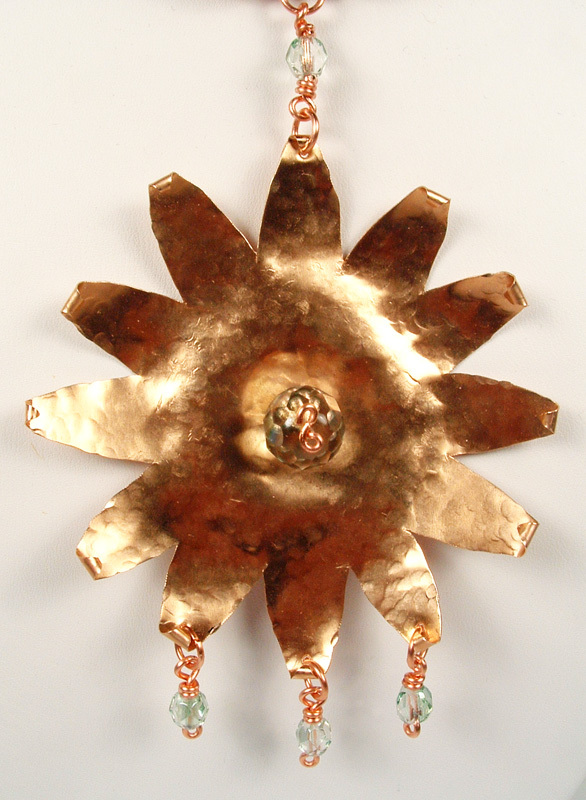 The hammering causes the copper to curl a little and I liked the affect so much that I left it and used the same affect in the star-burst pendant. That is my completed project! 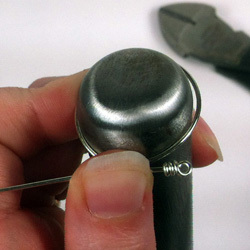 It was a fairly easy process all in all and one that I found rather fun (until my arm got tired of all the hammering). I cannot wait for the next challenge. 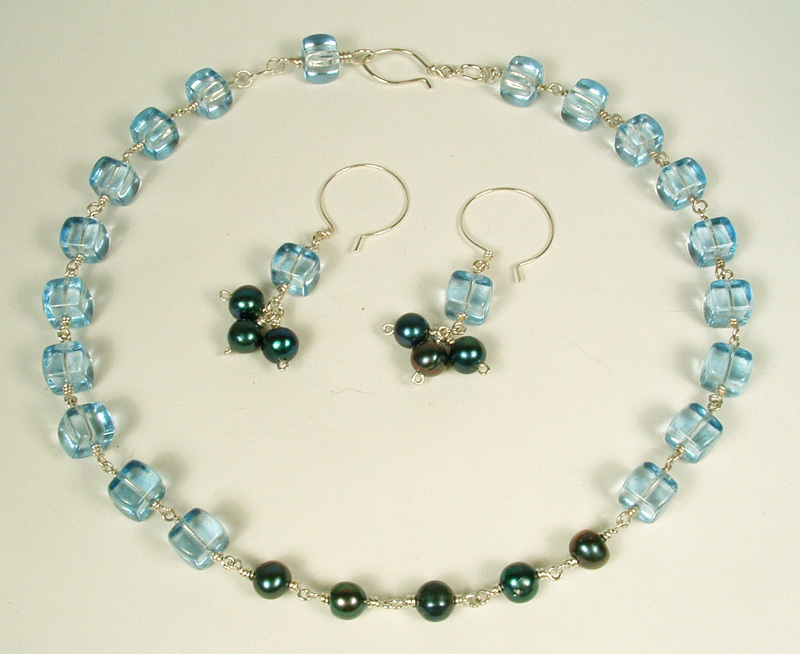 In the meantime, I have promised this necklace to my M-I-L and and am going to take the earrings apart to make a matching bracelet instead as she does not have pierced ears. 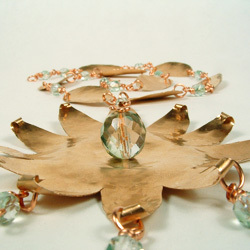 So, back to my craft table to work on some more copper! This post is featured on Todays Creative Blog.